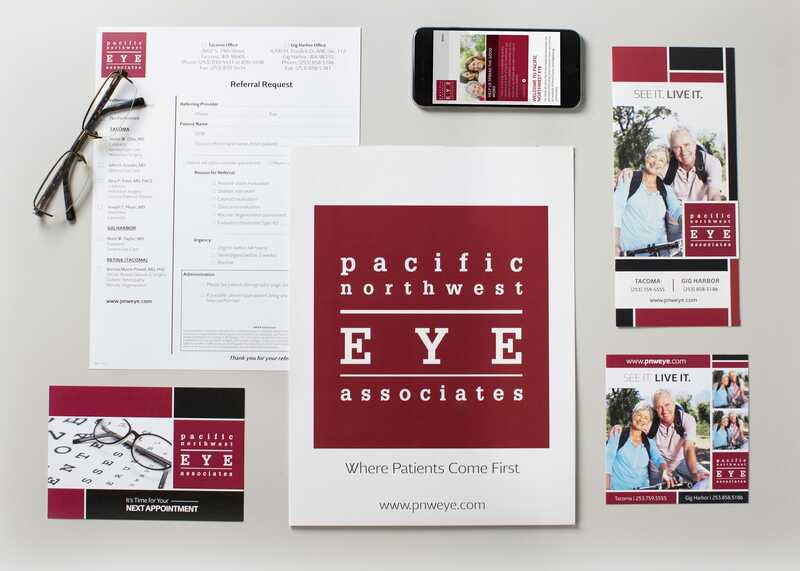 Marketing strategy, branded collateral, custom photography and videography, environmental design, print design, content marketing and search engine optimization. 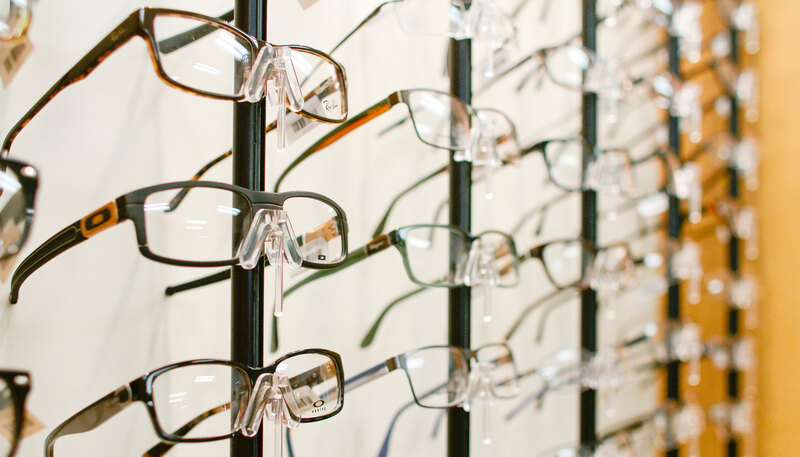 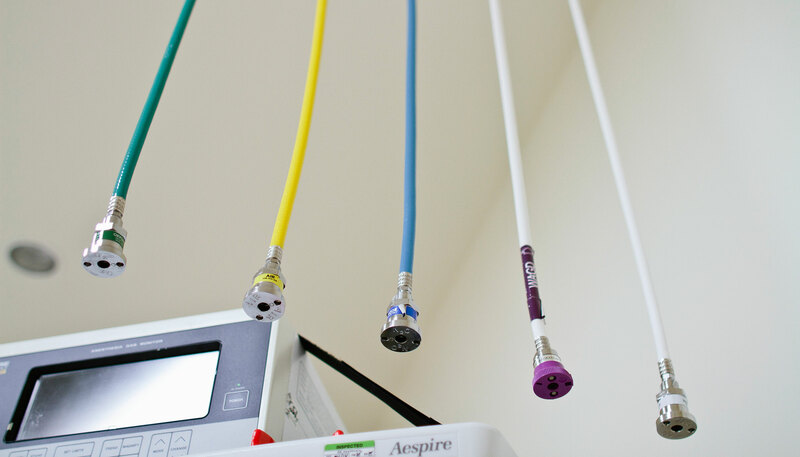 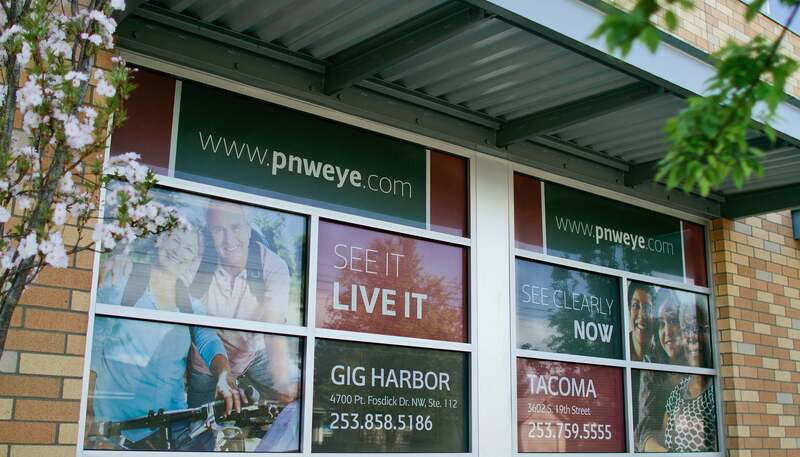 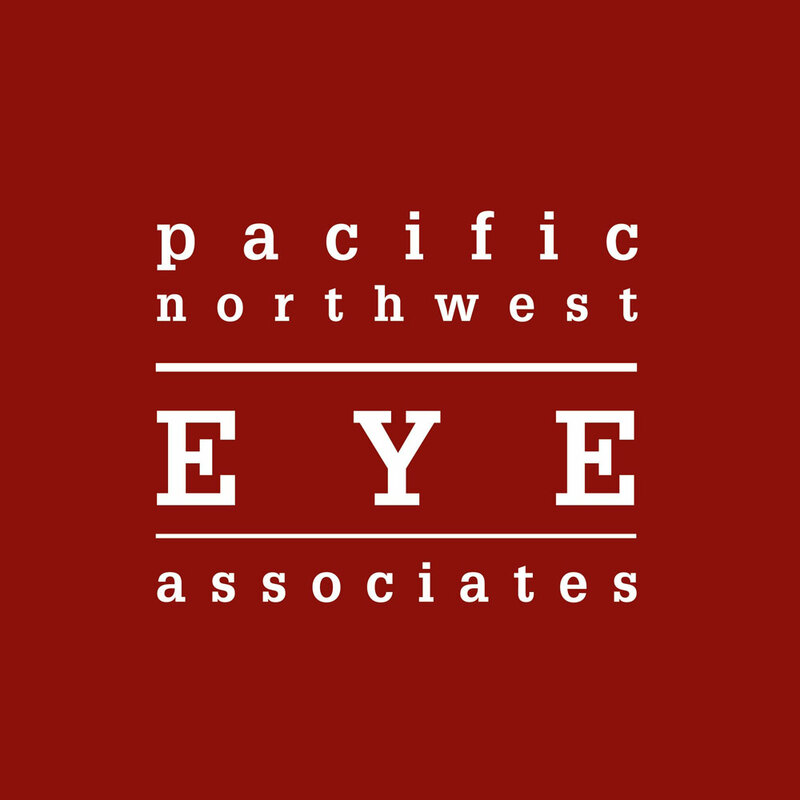 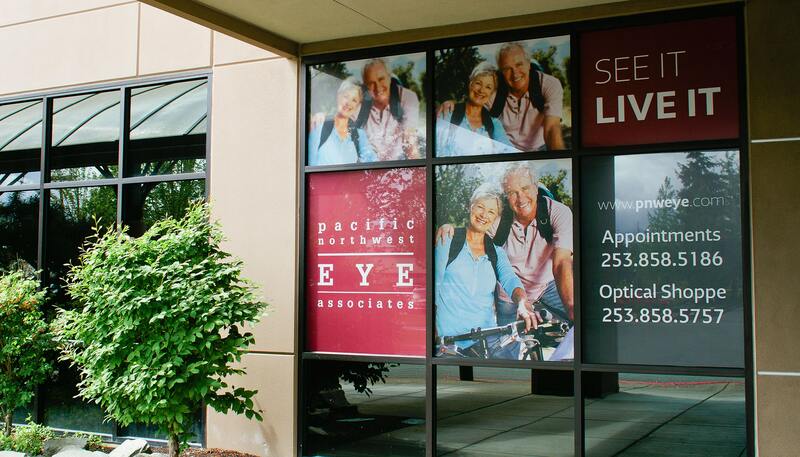 Pacific Northwest Eye Associates needed consistent branding across all marketing platforms. 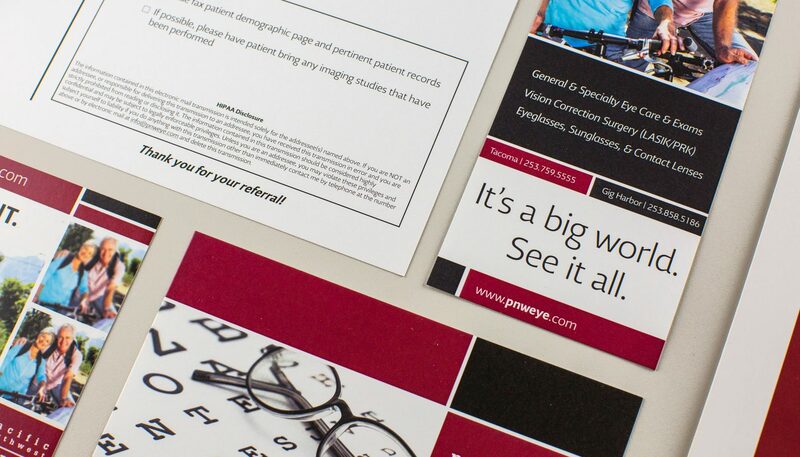 The company was given a clean, professional design that was cohesive throughout all marketing print material. 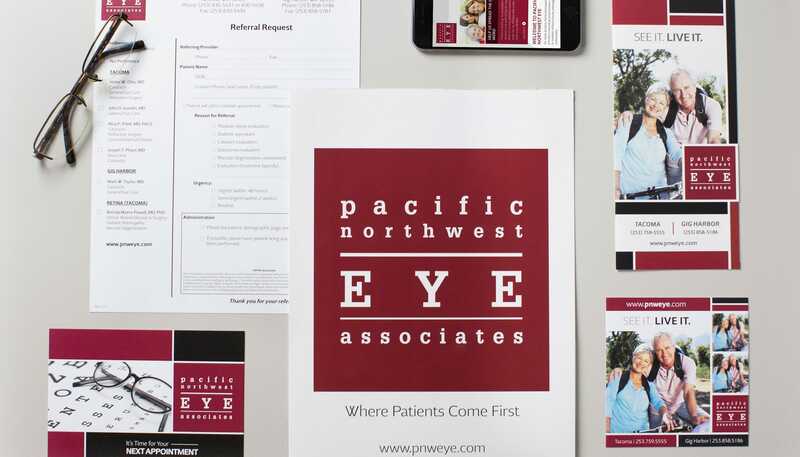 Brand identification and design of print advertisements, coupons, postcards, etc.